Easton E-Pro | Professional Use Only, No Warranty. 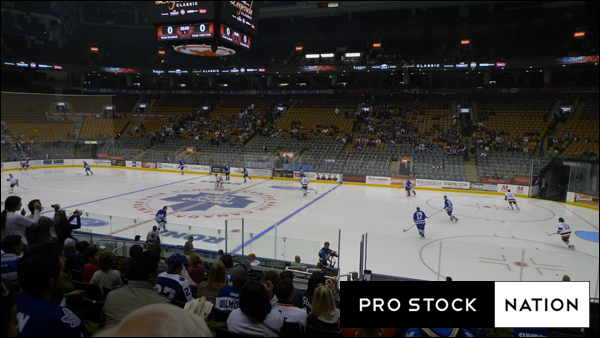 I attended the Legends game at the Air Canada Centre in Toronto last weekend. Not only was this a chance to see former star players on the ice again, but also an opportunity to see what kind of gear they would be wearing. The game was split into two 30 minute halves. During the first half he was wearing a cheapo Bauer 1500 helmet but took it off for the second half. 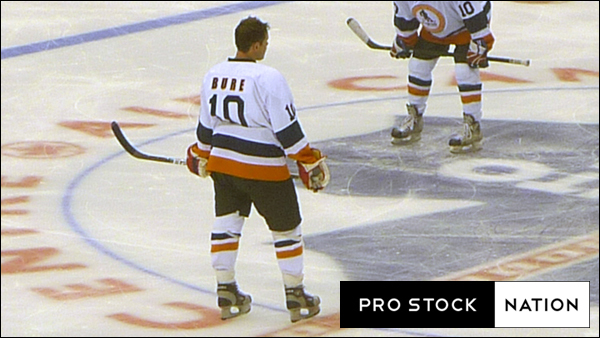 He is still wearing his signature Bauer Vapor 10 skates which were one of the most popular boots of it’s time. 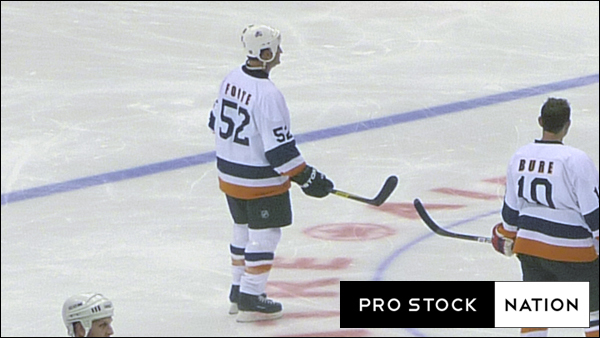 Continuing with the Bauer theme, he was using a Vapor X:60 stick. His gloves are made by a Russian company called “Flame”, they are a copy of the Warrior Franchise design. Other than his skates, his other equipment were not from his playing days. Burnaby Joe was seen sporting an E700 helmet (no visor), E-Pro gloves (albeit they had his name on the cuff but they weren’t his typical Z-Airs) and a Mako stick. 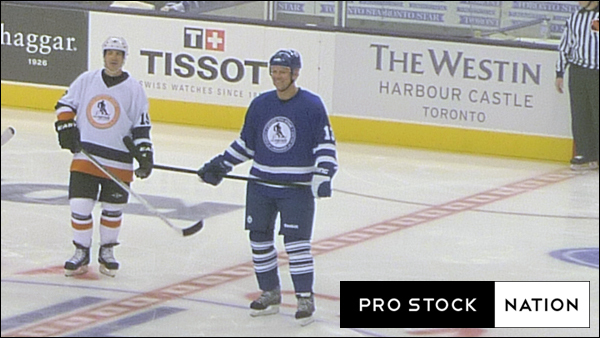 Sundin was in the same CCM Vector skates and HT2 helmet from his playing days. Not from his playing days were the Salming gloves and an Easton Stealth RS stick. 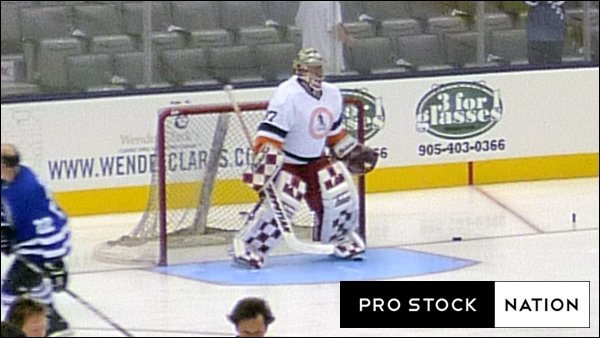 Trevor Kidd was always known for his Brian’s pads with the most elaborate designs. This set from his time with the Hanover Scorpions of the DEL were no different. 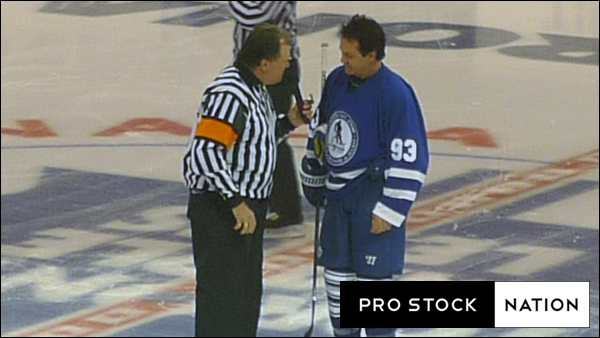 Killer was in Warrior Franchises and Hustlers paired with a Reebok 11K stick for this game. A change from the Winnwell gear he was supplied in last years Legends game. The award with the player wearing the most gear from his playing days would have to go to Adam Foote. He was still wearing his Avalanche issued CCM HT2 Helmet, Easton E-Pro gloves and pants. The only item not of his era was the RS stick.